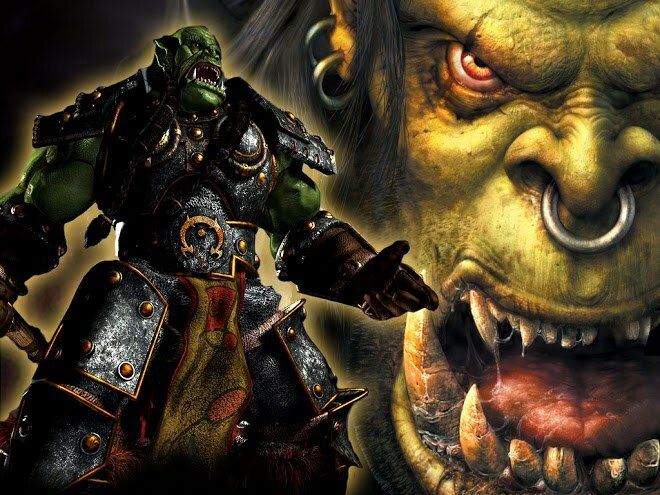 Warcraft 3 is a computer game in the genre of strategy in which the user need to destroy the enemy team, due to the rational use of its possibilities. The first part of Warcraft 3 was released a long time ago, back in 2002, and it was called Warcraft 3 Reign of Chaos. After the successful launch, the developers decided to make a sequel - Warcraft 3 Frozen Throne. In this game the user needs to rebuild its own database, using special resources (wood, gold, etc.). Of course, the construction of their own town the game is not limited. For total victory over the enemy, the user needs to develop their own army and eventually use it to destroy the enemy. Warcraft 3 has a lot of different cards with their own features. Some are aimed at the development of troops and bases (although cards such few plays). Especially popular are maps like Tower Defence. On these cards the player must build towers that will destroy the approaching enemies. Among the most popular maps should be noted: season Legion TD, Element TD, YouTD, Artifact TD, etc. Following the genre of cards for Warcraft 3 - RPG-maps. As you might guess, such a map involves the development of the protagonist. It is necessary not only to develop, improving skills, but also to perform special tasks, which are the basis of such maps for Warcraft 3. These cards also there are many, among which are the following: Julien's RPG, TKoK, Diablo 3, Warcraft, and others. In addition to the above, there are the usual DeathMatch maps, which are called in Warcraft 3 Arena maps. In this mode the player will fight with other heroes. If you are killed, you can resurrect and avenge his death. Of course, that the player can pump your character, for it to buy special items that will improve the characteristics of the character, and in the end you need to destroy as many enemies as possible. One of the most popular representatives of this genre of maps - series of maps Angel Arena and Team Arena. Of course, there are other cards, but they are less popular. Maps for Warcraft 3 genre Melee also allow you to fight the enemy face to face, alone. Today, there are standard maps of Warcraft 3 Frozen Throne and modified, which have a non-standard buildings, units, etc. Among the most prominent representatives you can mark the cards: Star Wars, Cruiser Command, and Lords of Europe. Latest variety of cards for Warcraft 3 - Hero Defence. The players task is to protect a particular object from a huge number of enemies. Among the most popular are: Moo Moo Generation X, X-Hero Siege and Against the Darkness.